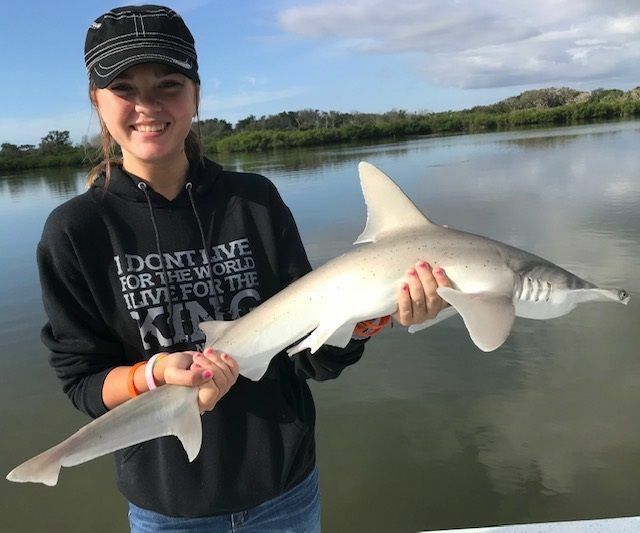 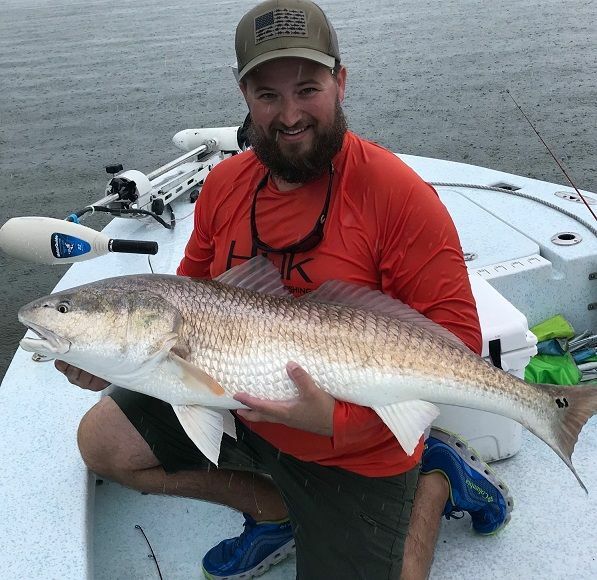 Enjoying the start of winter now December 2018, water has cleared with the dropping temperatures which are in the low 60’s F on the channels and as low as the mid 50’s F on the flats on cold mornings. 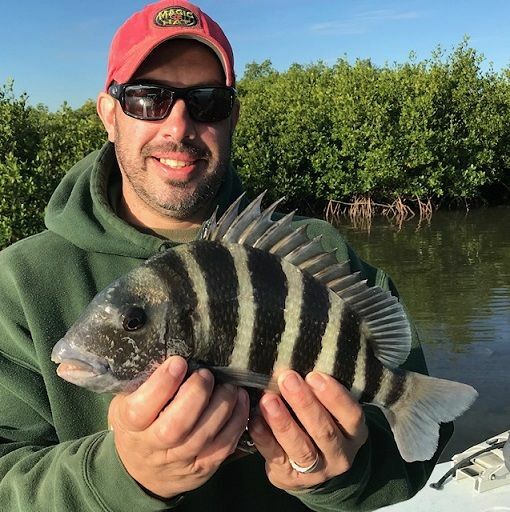 Cold water fish like Sheepshead and Bluefish are starting to come to the boat, our year round fish still biting too, Seatrout are schooling in the holes and channels, catching them on shrimp and deep running artificial lures, Redfish are getting into winter schools, on the flats they come during the day for sunshine to warm them, more on the edges and drop offs on cloudy days, Snook still bite too in chilly water, the smaller ones also school up on drop offs in winter, Black Drum are widespread through the backcountry in holes and deeper channels edges. 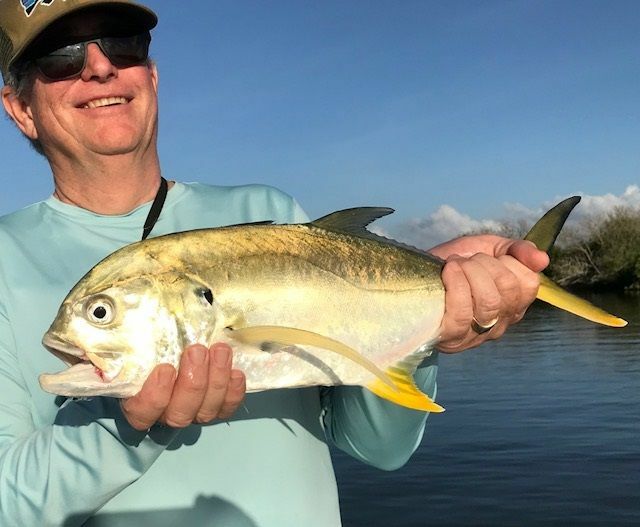 Was a great late fall season before the chill arrived recently, sending many sub tropical species south for the winter, we had lots of schooling Jack Crevalle with surface attack action, always have the chance of surprise big fish hookups in the backcountry, first time client Chris from Orlando had one of these encounters with me in the back waters and an epic battle and CPR, catch, photo, release on a 42” Redfish, estimated 25 plus lbs in weight………………. 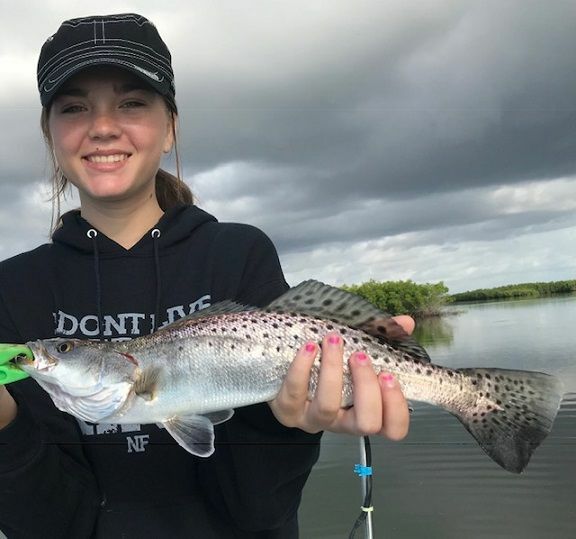 ……….Kaylee also with one of the Trout from this trip………………. 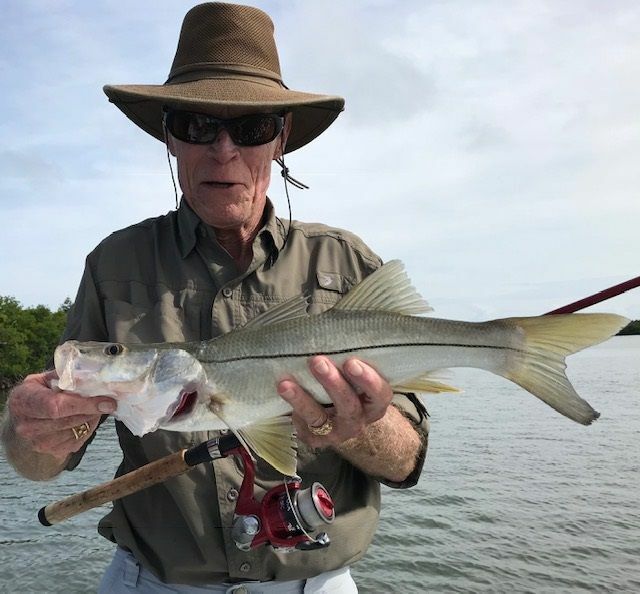 Lots of my charters happen when locals have family visit from out of town, such the case which brought Fred from Ormond Beach and his crew catching a “slam” with Trout, Redfish and Snook along with others of the mixed bag of species…………….. 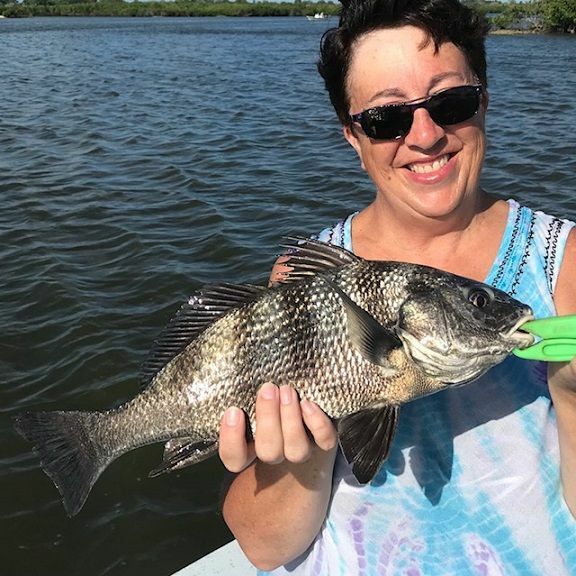 Longtime regular Bonnie and her husband from Iowa were out again this fall on a fun trip with lots of fish including a few good Black Drum………………..
Winter is Sheepshead time, in cold water we catch them every trip out, usually good numbers of smaller ones, but there are always a few bigger ones lurking in the back waters, Brian with a good one…………….